This chapter discusses the issue of Medical Practise from both a legal and normative point of view, including codes of conduct and therapeutic protocols which regulate both the structural and professional practice of healthcare providers. The first chapter discusses law and norms, outlining the nature of primary and secondary sources of law, the latter including the notion of consuetudo, as well as codes of conduct and practice. 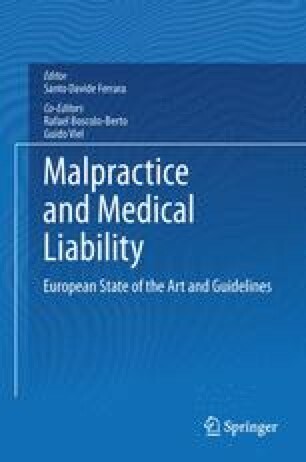 The second part of the chapter is concerned with the medical profession itself, focussing on the nature of the therapeutic protocol, the work contract and the employment relationship, while the third part examines medical practice from the perspective of both structural and professional practice. The fourth part of the chapter looks at the function of healthcare practice in terms of the worker’s exemption from medical liability and the importance of the healthcare user’s trust. This chapter concludes with a discussion of bad healthcare in private and public healthcare, bad practice, and the issue of the lack of responsibility of insurance companies.